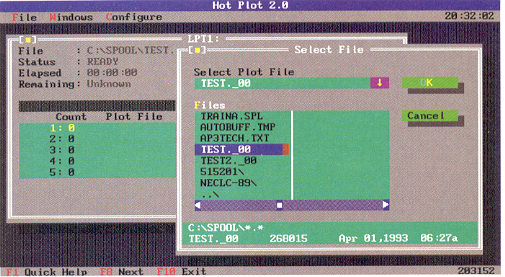 Hot-Plot was another in the series of background plot spoolers created by Spectrum Research for different OEM software sellers. Hot-Plot was based on the same Spool-It background spooling engine used by other Spectrum Research plot spoolers. Hot-Plot was a quick and dirty plot spooling engine.